Rarely does a single event transform a field. 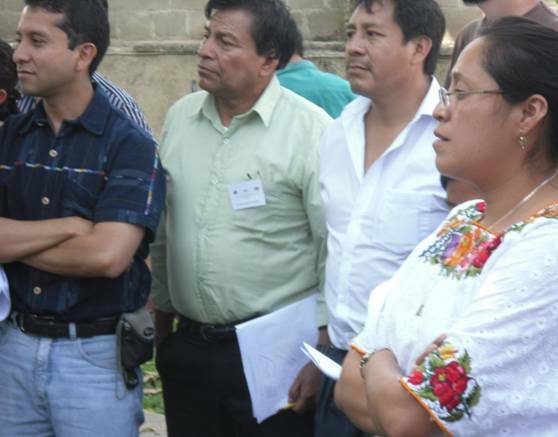 Such an event was the PLFM workshop held March 20-21, 2010 in Antigua, Guatemala. 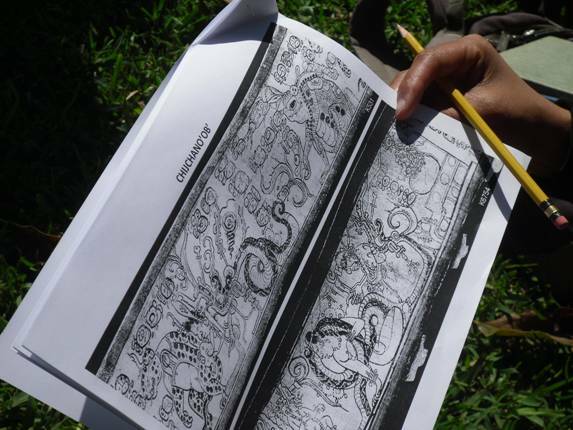 More than fifty teachers, cultural activists, and spiritual leaders representing more than ten Mayan language groups met for a weekend of learning, teaching and sharing, all centered around the ancient Maya calendar, writing and art. 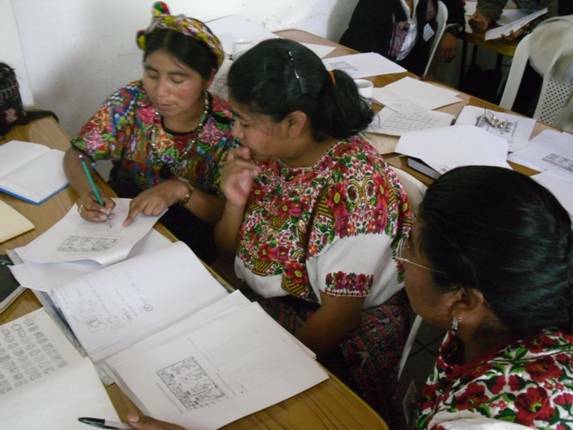 Friends of the Maya http://www.friendsofthemaya.com, with support from Mark Pits’ Aid and Education Projecthttp://www.aidanded.org/, combined forces with Proyecto Linguistico Francisco Marroquin http://www.plfm.org/to sponsor an historic weekend of intercultural exchange. To give some background, when David Stuart announced that the Texas Maya Meetings would be in Antigua this year, we the board members of FoM saw an opportunity not to be missed. 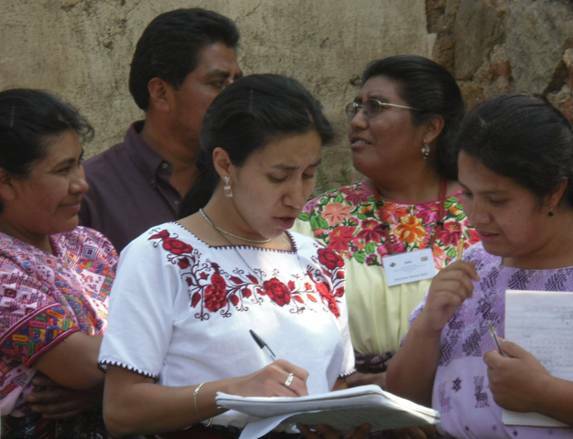 Since the Texas Meetings had limited seating and enrollment, and since we were sponsoring eleven of our own Maya colleagues to attend, why not piggy-back on the Texas Meetings and promote an expanded workshop for Mayas by Mayas. the invitations, then he and Mark and I worked up the program and list of speakers, and the three of us put together the financial support for transportation, housing, meals, and printing costs for the weekend. The program began with FoM colleague Hector Rolando Xol handing out pictures from Maya vases, scenes of mythological snakes, jaguars, deer and humans. He invited everyone to step outside on the lawn and to break up into groups to analyze and interpret the scenes. After a time, each group reported their findings to the others. Based on their own personal knowledge of the supernatural world, knowledge from centuries—nay, millennia—of story telling, they gave us their interpretations. These supernatural scenes (Kerr nos. 531 and 6754) of mystical transformations between snakes, jaguars, deer and humans were analyzed and interpreted by Maya cultural traditionalists. Crisanto Kumul, from the small Mayan-speaking village of Siisbicch’en, Yucatan, told us the dangers for women during breast-feeding. Snakes, sneaking in during the night and trying to suckle, potentially cause death of the mother. Deer and snakes can transform one to the other, and deer hunters have to be particularly careful, lest they themselves be eaten. Iyaxel leads a group of K’iche’ Maya who had their own understanding of the snake scenes based on their knowledge of the supernatural. During the second slot in the program, I gave a lecture on the Maya calendar with images from several stelae. I soon learned that we were not talking about dates and ways of counting, but the whole concept of time itself among the Maya. The following morning, at five AM on the Spring Equinox, a number of Maya spiritual leaders performed a ceremony on the PLFM grounds, which included a very complex altar construction and a long set of prayers. To my amazement, the central element of the prayers was the calling out of the twenty day names with the numbers 1 to 13. They were activating and energizing the 260-day calendar, keeping it alive and taking it into the new year. I can’t express my emotion when one of the lead shamans included information I had given in my lecture from the day before. I had shown a slide of Cobá Stela 1 and the 26 periods of 13 preceding the standard long count, and how this represented a period of time that can only be called “infinity.” The Maya shaman that morning, with a sweeping motion across the sky, mentioned the infinite dimension of Maya time and he cited Cobá Stela 1 as proof of what they already knew. Later that day, when I was lecturing on the codices and the Tsolk’in count, I thanked the audience for teaching me that Maya days are not days—they are spiritual forces. The joy (and goose-bumps) continued the entire weekend. The excitement was palpable as the Maya studied pages from the Dresden Codex showing a 260-day almanac with glyphs and gods. These Maya traditionalists are counting the days in the Dresden Codex. 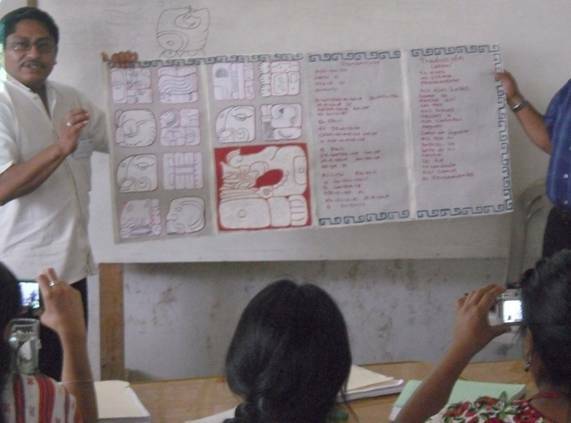 Romelia Mo showed examples of Maya grammatical structure in the glyphs and then invited the different language groups to discuss the differences between their own grammars. Hutch Kinsman, from the Philadelphia Glyph Group, showed how to distinguish transitive from intransitive verbs in Maya writing. Ana Patricia demonstrates the living Mayan language as recorded, not in hieroglyphs, but using the Latin alphabet. 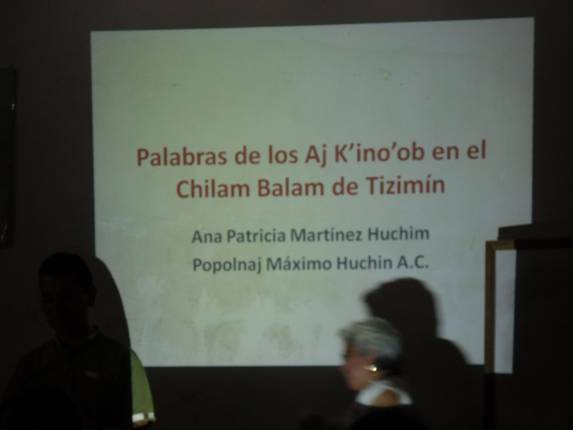 Ana Patricia described her work with the Chilam Balam of Tizimin, an 18th century example of Maya literature, focusing on the words of the prophets, the Aj K’ino’ob. 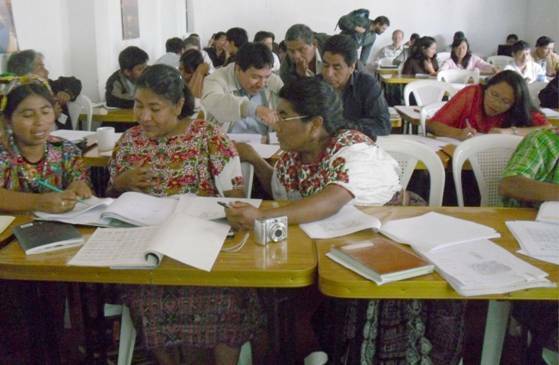 Then, in an inspired move, she invited all the Maya participants to write a parallel passage in their own language, based on their own community’s history. Each group made a presentation of its new Chilam Balam. With the current Long Count date in glyphs, these two Guatemalan Maya wrote about the pollution of the land and loss of language and culture. Although the message is sad, the very fact of their writing a contemporary “Chilam Balam” is powerfully encouraging. In the final act of the weekend, Crisanto Kumul, FoM colleague from Yucatan, described his efforts to introduce glyph reading in the schools. Intensely interested, Guatemalan Maya record on their personal cameras the presentation by Maya school teacher Crisanto Kumul from Yucatán. On Sunday afternoon, nobody was happy for the day to end. The room was just as packed at 3:00 PM on Sunday as it had been on Saturday morning. As the meetings finally wound down, the courtyard outside filled with picture taking and exchanging contact information. 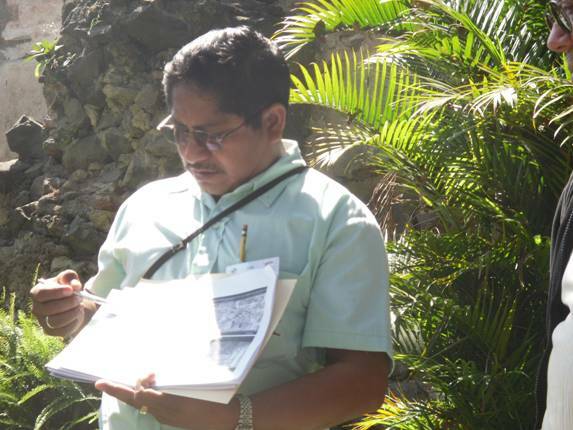 A sense of Maya community erased international boundaries and language barriers. As I reflect on this event, I ask readers of this newsletter to forgive me if I get emotional. Within the first twenty minutes of the first day I knew I was witnessing something so special it defies explanation. The glyphs, the calendar and the art of the ancient Maya came to life among the living Maya with a power that can best be described as spiritual. All of you who have contributed to our work should know that your donation, be it money or personal time, is supporting a deep cultural movement of profound consequence. I have seen with my own eyes that the glyphs and calendar are in fact voices from the ancestors and that we at FoM, in coordination with others, are helping the living descendants hear those ancient voices. There is no doubting the worthiness of our mission. I leave Antigua in two days and as I travel over the next two months I will be meeting with indigenous groups all across the Maya landscape to plan future glyph workshops. I will be reporting to you soon. Bruce Love, President and Field Coordinator for Friends of the Maya.